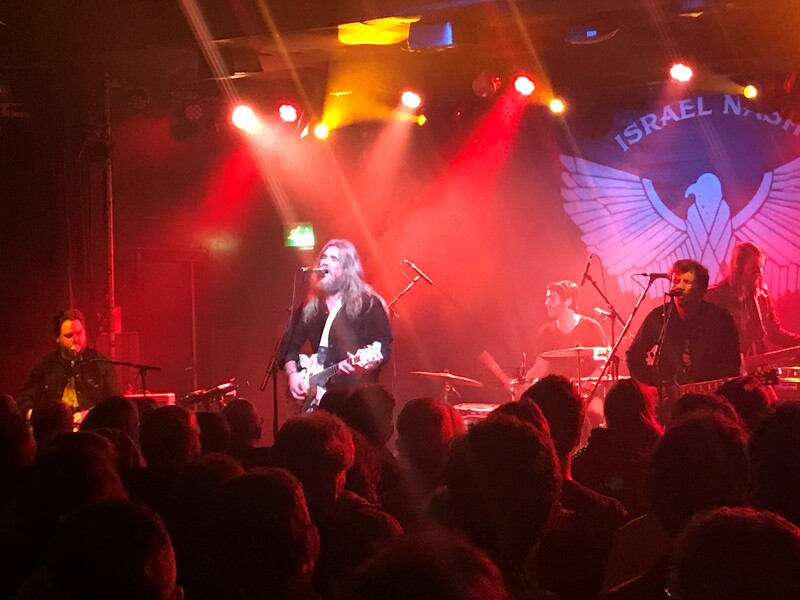 It was a very special night at London’s Scala when Israel Nash brought his band to town. Opening up was talented singer-songwriter Brent Cowles from Denver who filled his time with blues-soaked material. He was accompanied by a female vocalist friend which added considerably to the effect. He was worth the price of admission alone. The six-piece Loose Music act Treetop Flyers delivered a fantastic set largely drawn from their eponymous album. The Treetops are a lively band with infectious, catchy tunes with a hint of Van Morrison and the vocals of Mick Hucknall. Tracks included Art of Deception, the dreamy Needle and the fabulous Sweet Greens & Blues. Great band. Look out for them. The atmosphere was electric in the break, the venue had filled and it was clear there were a lot of very excited people in the room and on the balcony. The P.A. was playing blues in the break and when Little Milton came on that seemed an omen of things to come. 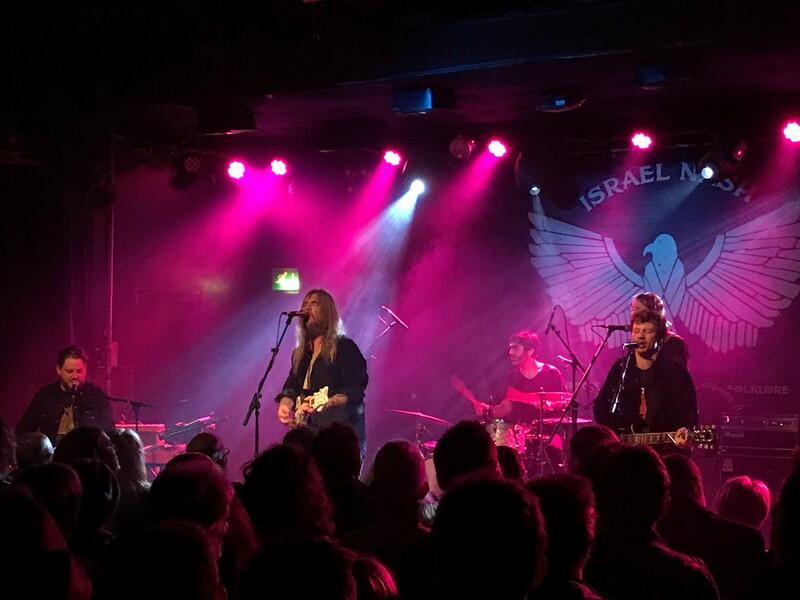 Israel Nash hit the stage with his band and hit the ground running with Rolling On, the opening Track of his new Loose Music album Lifted. The music flowed for the next 90 minutes, with Nash and his band of four friends playing a mixture of old and new material. Lucky One, the more country Rexanimarum, Sweet Spring, Northwest Stars, Looking Glass with Nash on acoustic guitar, The Widow, Goodbye Ghost. Something for everyone. 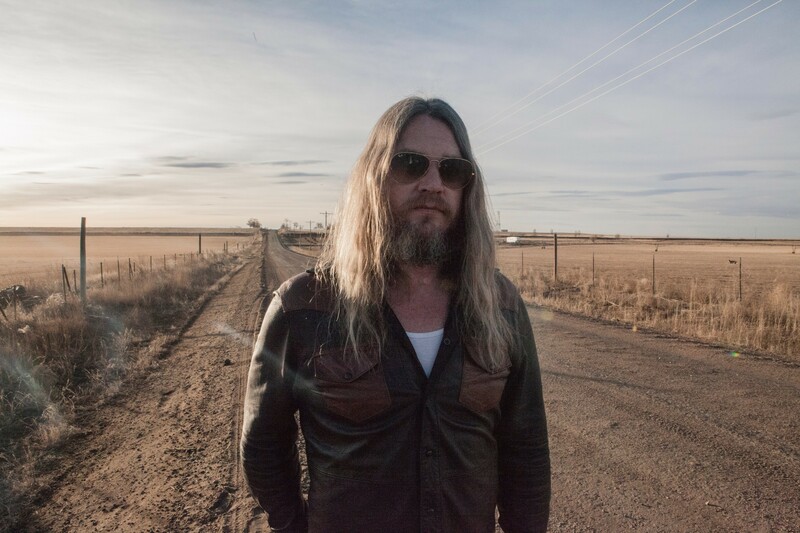 The songs all bore the Israel Nash trademark of seemingly simple yet sophisticated material, with Roger Sollenberger’s shredded guitar solos weaving into the solid wall of psychedelic sound. This was the last date of his European tour and Nash’s voice showed occasional signs of strain, but that didn’t stop him from giving it his all, and he and the band were having a ball onstage. Like many American artists he shows a great affinity and affection for the UK. He saved the best until last, a quite magnificent version of Rain Plains, with solid rock building up to an intense crescendo and then taking it down with a beautiful slide guitar segment by Eric Swanson and a peaceful ending. It did Israel. You are.